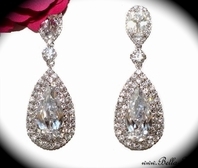 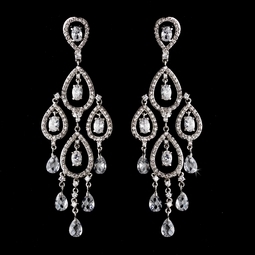 Description: Beautiful silver chandelier earrings encrusted with dozens of sparkling cubuc zirconia gems, dangling Austrian crystals and oval-shaped genuine crystals. 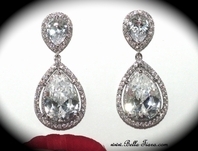 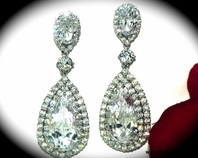 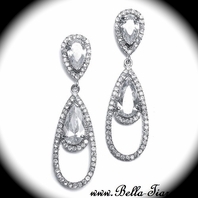 A beautiful pair of elegant and eye-catching earrings perfect for any elegant occasion. 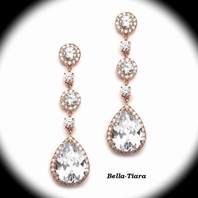 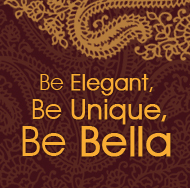 Wear as a bride, bridesmaid or to a prom! 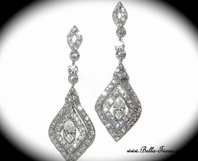 Silver: Length: 3.5'' Width: 1'' .